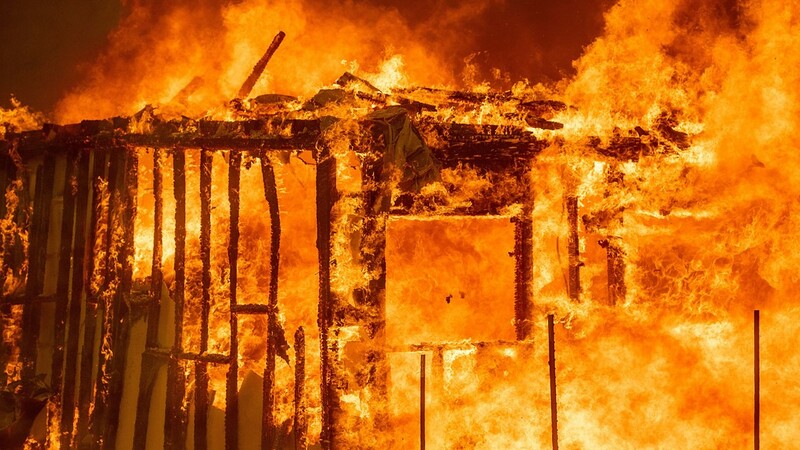 Officials said Monday that the flames about 100 miles (259 kilometers) north of San Francisco grew to 283,800 acres (443.4 square miles or 1,148.4 square kilometers). 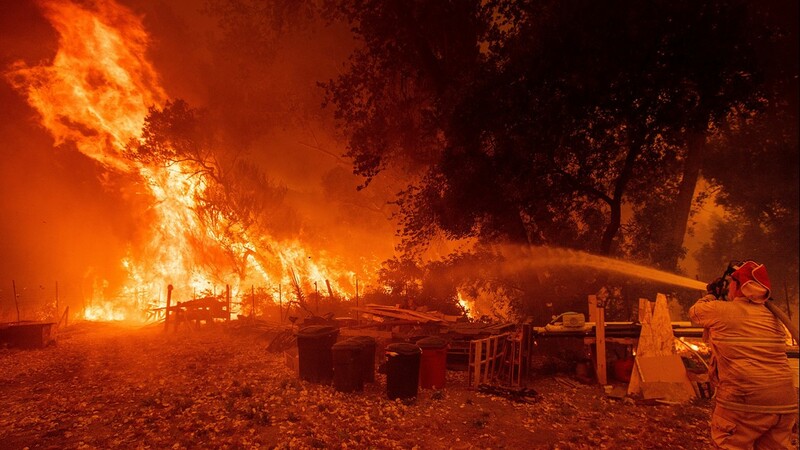 LAKEPORT, Calif. (AP) — Twin Northern California blazes fueled by dry vegetation and hot, windy weather grew Monday to become the largest wildfire in state history, becoming the norm as climate change makes the fire season longer and more severe. 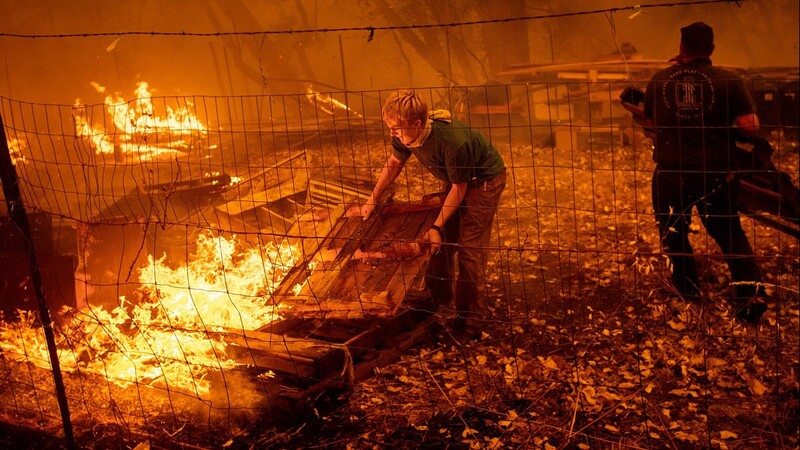 LAKEPORT, Calif. (AP) — Twin Northern California blazes fueled by dry vegetation and hot, windy weather grew Monday to become the second-largest wildfire in state history, becoming the norm as climate change makes the fire season longer and more severe. 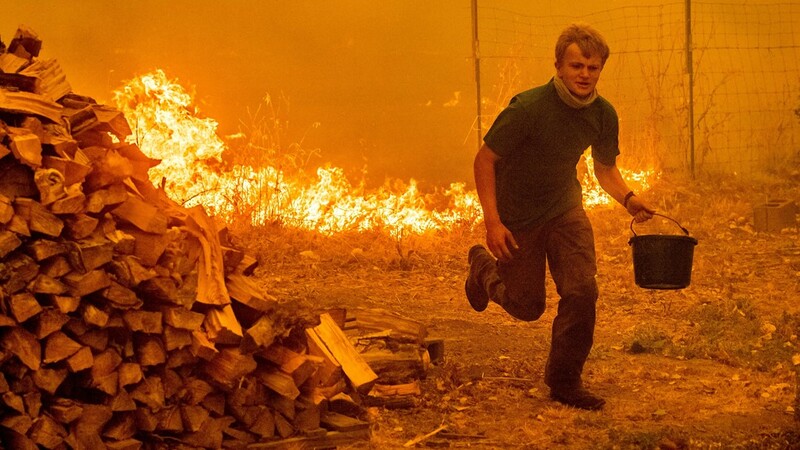 The two fires burning a few miles apart and known as the Mendocino Complex have scorched 428 square miles (1,108 square kilometers) since igniting July 27 about 100 miles (161 kilometers) north of San Francisco, the state's firefighting agency said. The blazes are likely to surpass the largest California wildfire on record, which burned 440 square miles (1,140 square kilometers) in December. It killed two people, including a firefighter, and destroyed more than 1,000 buildings before being fully contained on Jan. 12. 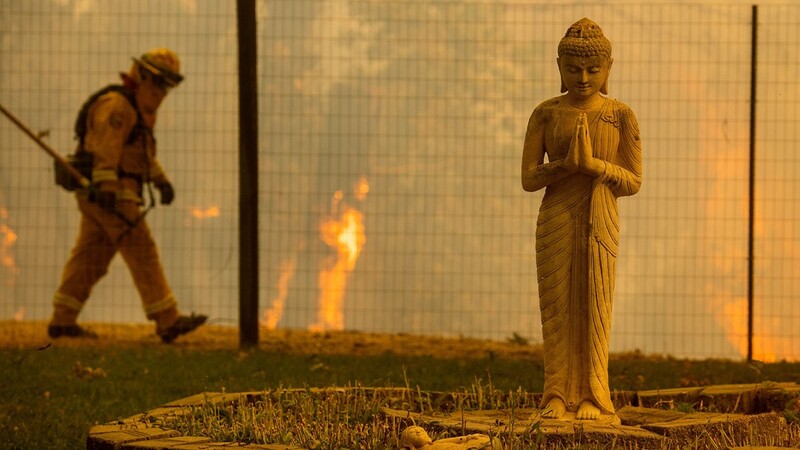 The complex of fires, which has burned 75 homes, has been less destructive to property than some of the other wildfires in the state because it is mostly raging in remote areas. But officials say the twin fires threaten 9,000 buildings and some new evacuations were ordered over the weekend as the flames spread. 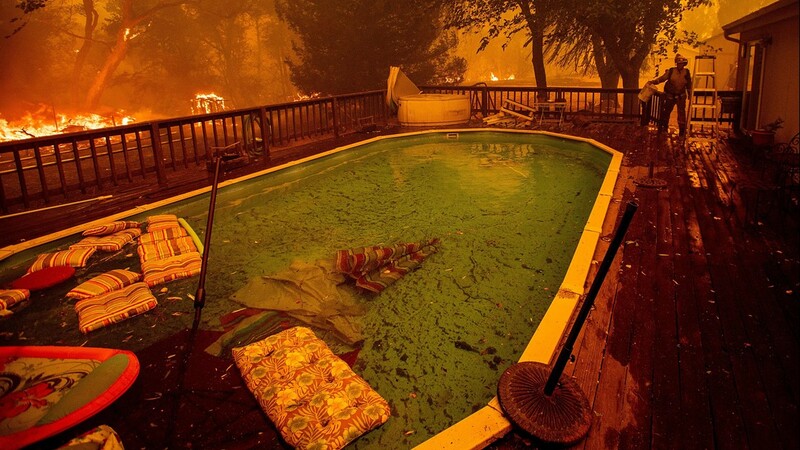 Another blaze that erupted last week has damaged a historic Northern California resort in the Stanislaus National Forest. The nearly century-old Dardanelle Resort has sustained massive structural damage, though the details were unclear, the Sacramento Bee newspaper reported. Additional areas impacted by the Mendocino Complex Fire are seeing evacuations lifted. Several areas impacted by the Mendocino Complex Fire are seeing evacuations being lifted. The Mendocino County evacuation warning for the following areas are being lifted: South of Mill Creek Road in Talmage, east of the Russian River, east of Old River Road, and Hwy. 101 in Hopland; all areas north of Mendocino-Sonoma County Line; and all areas west of the Mendocino-Lake County Line. The Lake County evacuation advisory for the following areas are being lifted: South of 11th Street and Riggs Road; west of Clear Lake, Highland Springs Road, and Big Valley Road; north of the Lake-Mendocino County Line; and east of the Lake-Mendocino County Line. The two wildfires that make up the Mendocino Complex Fire grew over the weekend to become the second largest wildfire in the state's history. The latest update from Cal Fire notes that total containment actually decreased to 30 percent, down from 33 percent the previous day. The number of structures threatened by the fire has decreased, as well, from over 15,000 on Sunday to 9,300 Monday morning. Seventy five residences have been destroyed. Of the two fires that makeup the Mendocino Complex Fire, the River Fire, which has burned over 48,000 acres, has the largest containment, sitting at 58 percent contained. 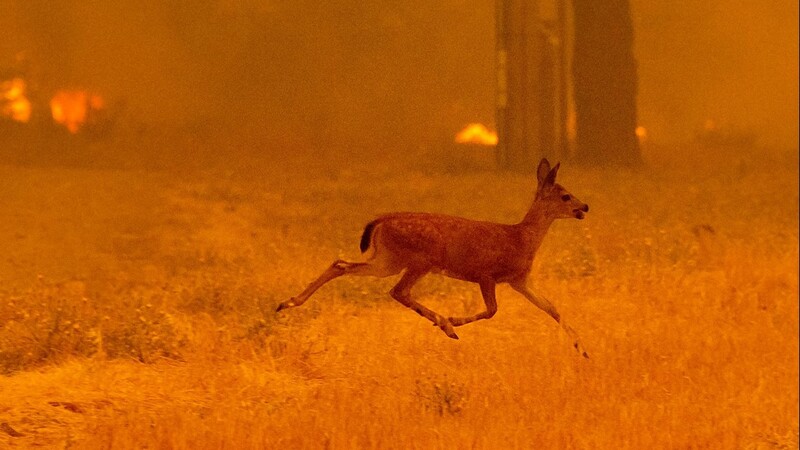 The Ranch Fire, which has burned over 225,000 acres, sit at only 21 percent contained. According to Cal Fire, the Ranch Fire continues to grow in the north and south eastern directions, "threatening communities in the fire's path." 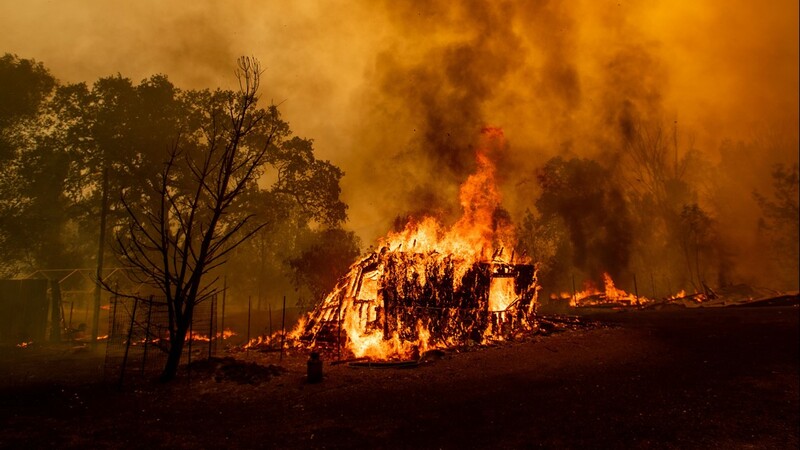 Mandatory evacuations are still in place for areas in Lake, Colusa, and Mendocino County. At 273,664 acres burned, the Mendocino Complex Fire now sits at number two of California's largest wildfires. 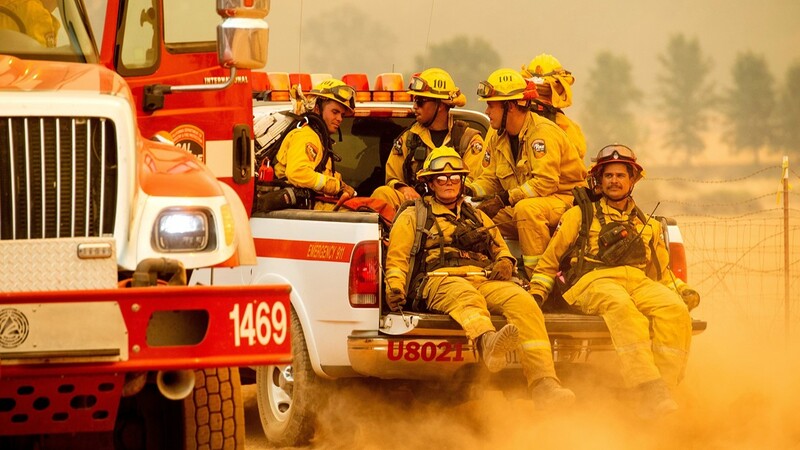 The Thomas Fire from 2017 is the largest, having burned 281,893 acres.